A local council should simply be a source of help to individuals and the local communities, not a source of irritation, controversy, injustice and sheer dysfunctionality. Judge a person by deeds not words. What is he doing here in Tower Hamlets? on May 19, 2015 at 11:27 pm Dave Roberts. I think this is of interest and now that Andy is asking you for your votes on a grand scale you are entitles to an answer. The fact that he is owed a lot by a lot of people for the election petition, is, am afraid to say, history. That was then, this is now! Proactively getting rid of the lying, cheating, thieving, racist scum who seem to have infested the place like rats of late, perhaps? Do pray tell me, “skeptical reader”, whether you approve of the actions of the like of Andy Erlam, or whether you run with those aforementioned abhorrent rats? I fear I already know the answer, as does everyone else on here. Not true at all, I am not aligned as you imagine, I am merely posing a question. Maybe Andy is opportunistically placing himself in the right place at the right time, looking for a knighthood or honour, launching the Red Flag Anti Corruption party onto the political stage, becoming a mayor, getting his name in the papers, endless opportunities…it is all very good timing. I’m amazed at your cynicism. This man’s achievements frankly deserve a statue in front of Tower Hamlets Town Hall, and yet you begrudgingly undermine the significance of events. on May 20, 2015 at 11:25 am You couldn't make it up! Are you suggesting that anybody who has recently moved to Tower Hamlets has any less right to a voice than anybody else? One of the things Andy Erlam has done since he moved to Tower Hamlets is hold the so-called “elected” Mayor to account in the Electoral Court and in doing so has helped rid the borough of a Mayor who has been proven to be corrupt. That’s something that the other political parties had signally failed to do – although all credit to Peter Golds for his persistence in trying. I agree it’s a question worth asking – but I suggest you suspend your scepticism until you’ve got an answer. Time to scrap the Tories, Labur and the remnants of THF and create a non-political cross-parties effort to get Andy elected. Tower Hamlets deserves Quality not more failing crap. Biggs is a has-been. Golds can be a very useful ally. Rabina can excel at telling children lots and lots of wonderful fairy stories. I would like to see the best person, the genuine People’s Champion, win. I don’t want slimy sub-standard selfish politics ruining everything for the arrogant satisfaction of nasty national political leaders. They should be serving the public, not their own already bloated egos. I worked with Andy on the Petition and believe me I cannot recognise the man in your description, he is not the ‘People’s Champion’ far from it – he has no sympathy or love of ‘the people’. He is a politician, be under no illusions. Debbie Simone, Petitioner 2 ? 1. What do you think was his motivation for continuing with the petition ? 2. Why did you work with him on the petition if you didn’t like him or his motive ? In reply to you Cat, you ask what are Andy’s motives? I don’t know. My motivation was to clean up the borough’s politics, a desire borne of my own experiences in the 2014 campaign as a councillor candidate. I felt all parties needed to clean up their act, Labour included. I joined the petition, having met Andy twice only, but feeling that it should be fairly simple as we were working to a common goal and I thought Gerald Shamash would be ‘in charge’, so I had no worries. Alas, he wasn’t in charge for long. We didn’t have a ‘pre nuptial’ style agreement, which was probably a big mistake as it would have defined some general rules. For instance I got very upset by the UKIP contingent and Andy got very upset by the abuse that I directed towards the UKIP contingent. You ask why did I continue to work with Andy? basically an Election Petition needs 4 signees and the catch is once you sign that’s it, YOU CANT UNSIGN, THERE IS NO ESCAPE!! The experience has been a horrific for me, like sitting in a car, speeding downhill, with no brakes. Admirable objectives from the candidate with blue chip credentials. Andy, you (and team) vanquished Lutfur Rahman and his squalid, fraudulent and corrupt episode in our municipal government. Many thanks for this. May I ask you to ask Andy Erlam, and invite you to ask yourself, how to cure the monumental and endemic incompetence, procrastination and prevarication within Tower Hamlets Homes? Yours, a very concerned leasehold. on May 19, 2015 at 11:21 pm Dave Roberts. Each block should declare UDI from the council and take itself into private management. The problem is that all leaseholders operate as individuals against the monolith of THH or THCH. Blocks and streets should secede. I believe that is actually possible and has been so for some time ! on May 19, 2015 at 11:18 pm Dave Roberts. All of the above very interesting but inconsequential if Erlam splits the vote and lets in Rabina Khan as you are then in for five years of the same. Will you all please engage brains before opening mouths and in particular voting? Sorry for reducing this debate to the boring and mundane level of reality. Not necessarily, but second votes could be crucial. But your blind and seemingly unquestioning loyalty to Labour (i.e. Biggs) alarms me. What is the difference between 5 years of Rabina crap and 5 years of Biggs crap especially when Biggs will be obeying the national Labour leaders ? Both are not in the public’s real interests. on May 20, 2015 at 12:25 am Dave Roberts. I take it your last post CC was directed at me. I’m not a member of the Labour Party and don’t live in Tower Hamlets, part of the time in Essex and the rest in Spain, but I was born there before it was called Tower Hamlets and therefore have an interest. I would support Biggs as the lesser of several much larger evils the main one being Rabina Khan who will simply rule on behalf of Lutfur Rahman. We have come a long way and don’t want to stumble at the final hurdle. It’s not rocket science! Your knowledge of London Labour impresses me. Its obviously acquired over many years. One doesn’t have to be a registered member of Labour to support Labour. Your (pragmatic ?) willingness to accept less crap rather than something much better saddens me. Labour is not the answer. Neither are the Tories or UKIP. TH needs a non-political entity whose only objective is improvement to make the residents smile and be proud to live in TH. Politics have created the TH problems, long before Rahman went Independent. Politics is the enemy of good fit-for-purpose English local government. Why don’t you start a non-political ‘registered political party’ devoted to improving TH ? The difference is clear. Corruption with Rabina or non corruption with Biggs. Both lacking the essential requirement for a non-political local service dedicated to serving all the public equally with respect, dignity, understanding and kindness. I favour the banning of all national political parties from local government. None should have the ability or influence to exert national political ideas on a local customised solution addressing the needs of the community being governed . Keep local government truly local. Ideally central government functions should not be imposed on local authorities. 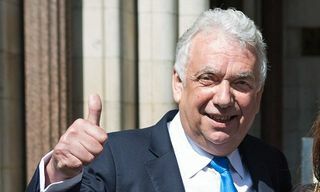 We are all very grateful to Mr Erlam for the amazing Victory of 23rd of April, but nice as his manifesto is (a bit too vague and overlong for my liking) he has as much chance of winning as the Pub Landlord in Thanet South. Who managed to get 300 votes. A substantial proportion of TH population are being told that Mr Erlam is Satan incarnate for toppling a Really Really Good Man. An equally substantial proportion has no idea who the hell he is. A lot of interesting points being made but the reality is none of the candidates appear to be running any real campaign at present. Biggs campaign is slow and almost invisible at present but he can rely on a lot of help from the labour party,supporters,activists and union/ party money but hos problem is one of charisma/ personal presence, or the lack of these. Golds campaign, really a non starter from his voter support base being too low and again not visible. Erlams campaign, as for Golds to small voter base not enough resources and people to do the ground and door knocking. Non of the candidates are running a well planned and strategised campaign as far as I can see on the ground or in the media targeting the general populus of the borough i.e. those who don’t have traditional voting preferences. In order to beat Lutfurs stooge candidate a few facts have to be put out of her poor expenses and other short comings. Yes in short the campaign will need to focus on her and THF short comings, to inform the electorate and in particular those who don’t vote why they should and not vote for her. I afraid its got to get dirty and rough to beat them. Peter Golds had about 14 people out tonight in Wapping, about the same number Monday night and we delivered around 3,500 leaflets on Saturday. Most of the Barkantine estate in my ward has had a leaflet and we only selected Peter last Monday night. Peters Facebook page has been viewed over 1,200 times and was only set up last Wednesday night. Given the focus on the General Election none of the main parties will have been able to fully focus on the Mayoral campaign until well after the 8th May so you cannot expect a normal campaign given how last minute this all is. Although we meet people who have never heard of Lutfur Rahman a good number know what he did and who Peter is. 21,000 people in TH voted for Conservatives on the 7th May so not a small base. Such rubbish analysis. Did you know Biggs has made or intended to make 4th May Altab Ali day? Shameful electioneering on the back of a murdered man’s legacy for votes. Disgusting. He went to a mosque and they highlighted his apparent record of granting planning permission for mosques. That aimed at Bengali community again. Has he promised anything for everyone else. Please take off your rose tinted glasses and realise the rubbish you spout. Well Im in wapping havnt seen one leaflet yet! Not from any candidate. No doubt Biggs has told made many claims, Its sell your soul time I suppose. For most candidates! we delivered around 3,500 leaflets on Saturday. No good if people can’t or don’t read them. Is the typeface larger enough ? Is the message simple enough ? Does the message appeal to them ? That is meaningless. It counts only if they are actually registered to vote in TH and they are from the minority that bothers to vote. You have no means of knowing how many of the 1,200 are useful. You need the banging-on-the-doors and the canvassing results. Its hard work starting from scratch. Labour have the best canvassing and actual voters records (from the Marked Registers). He would have to utilise that budget to reward his supporters, no? Isn’t that what all candidates or parties would do if elected? And would he be resigning his post at the London assembly to give Tower Hamlets his full time attention since it’s in dire straits. Or would he take on both jobs at the same time? Finally what does it say about his management of budgets if he has intended to appoint 3 deputy mayors already. Jobs for votes and cronyism comes to mind. They are all the same sadly. on May 20, 2015 at 3:19 am Dave Roberts. Ted. What’s happened to the reply function on the last half dozen posts? Its not just about rewarding those who vote for you and patronage of your supporters, that was Lutfurs village politics. What people want is a well run and efficient council delivering policies that they can relate to ,want and in the main can support. on May 20, 2015 at 11:32 am You couldn't make it up! I haven’t received any election material from any of the candidates – so they’re all equally low profile so far as I’m concerned. This blog is the only way I’m finding out what any of them stand for. What I want to hear from EACH of the candidates for Mayor is precisely how they would propose to work with the Councillors and others representing the community during the period of their Mayoralty. Ted – Could we maybe have a composite post “Working with others and working together”? Here in Shadwell we have heard nothing, all I have had is 3 rabina leaflets through my door. What happened to the days when every area had hustings, where residents could question face – to face candidates, and be given the opportunity to decide for themselves? Ted – Could any hustings be posted on your blog? Tony Uddin hosted one for the last mayor election. Lutfur declined to attend. Could it be that he could host one this time round with all of the candidates? If so, could Ted let us know where and when? Here is Tony’s article from last. Still topical. on May 20, 2015 at 5:22 pm Dave Roberts. I have stated to wonder which planet some of those posting here are on. This election is about Lutfur’s block vote and how to oppose it and nothing else. Programmes, hustings and whether or not someone got a leaflet through the door or not are totally irrelevant. It’s a question of beating Rabina Khan or Rahman will still be running the borough and will be able to do that from a prison cell like Mafia Don and it’s about time you all woke up to that fact. I’ll bite the bullet here. on May 20, 2015 at 6:49 pm Dave Roberts. Yes, better. Does anyone know anything about the Lib Dems putting up Ajmal Mazroor who did reasonably well against Roshanara Ali in a general election? Elaine Bagshaw is standing LibDems. Biggs has already chosen 3 dodgy deputies, all 3 tainted, self promoting and of no use to the community. He surely doesn’t need ‘the man who makes it happen’ Andy Erlam too! Though I wouldn’t object to Peter Golds, a man of real courage and conviction and passion for Tower Hamlets. Why has Biggs chosen 3 deputies, and why these 3? Biggs should have 5 deputy mayors now? Labour wouldn’t give golds or erlam any say believe me. You are being played. Dave – I think Ajmal conferred with his Facebook counsel and decided it was best not to stand. on May 20, 2015 at 5:54 pm Dave Roberts. Just found this from the loony left site of Counterfire. They are a split, rejects whatever, from the Socialist Rapists Party and are still running with the racist/Islamophobic Lutfur was illegally ousted because he was a successful socialist mayor who built thousands of houses and stood up to neo liberalism blah blah blah theme. http://www.counterfire.org/articles/opinion/17826-will-another-electoral-coup-take-place-in-tower-hamlets It’s all good knockabout fun but is indicative of the pro Lutfur mindset. He writes for some fairly extremist publications. I don’t mean The Huffington Post as they will publish anything by anyone as they don’t pay fees. on May 20, 2015 at 7:58 pm Dave Roberts. See if any of you can comment at Counterfire. I’m barred. Don’t like discussion these Trots! on May 20, 2015 at 7:57 pm Dave Roberts. The East London Advertiser reports that one of the election petitioners Azmal Hussein has now delivered a ” Letter of Protocol ” to the Election Commission asking for the remaining seventeen THF councillors to be removed and new elections ordered. Should be interesting. The Electoral Commission has no powers in law to countermand election results. The Election Commissioner (Richard Mawrey) has finished the task assigned to him by two High Court judges. That task was to hear the Election Petition. So chucking 1, or even 17, elected councillors out-of-office at the current moment is most unlikely. on May 20, 2015 at 8:45 pm Dave Roberts. Can you explain to us what a ” Letter of Protocol ” is and why it is not relevant in these circumstances? A ‘Letter of Protocol’ is presumably a written communication complying with a protocol – which protocol I do not know. I would to know which specific ‘protocol’, the supporting legislation and the desired action. Will someone ask Azmal Hussein to explain ? How can one vote for Mr Erlam without dispersing votes and favouring the dark side? Or is voting labour the only way to deny a future to the gang of crooks of the ex mayor? As above, use your 2nd preference for Biggs. More concerning is a series of tweets by KHOODEELAAR. Randomly interviewing person who didn’t have a reason for voting but it was all about the ‘ballot’. Since there have been no arrests or prosecutions, so far, from the Election Court outcomes, it is TH business as usual. Personation, postal voting fraud etc..
We are all doomed to the same result as last year!